With the build concept in mind the parts were chosen and “assembled”. A honda Benly being grafted onto the stock fork shrouds. 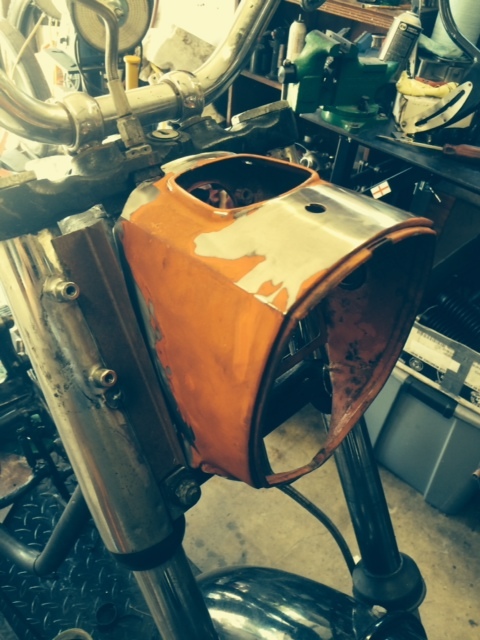 The tank is off a 71-72’ BSA Thunderbolt. These lines realize the initial intent of a masculine square jaw look, from this squared off look the moniker “The Black Knight” was selected. Raffle Bike Update April 2015 - How Low Can We Go?